Wait until you see how this fully loaded and gorgeous 3 bed/2.5 bath home blows away the competition! Located in the heart of Bridgwater Lakes, and at a price point that cannot be beat for the level of high-end upgrades, you will be so proud to own this home! 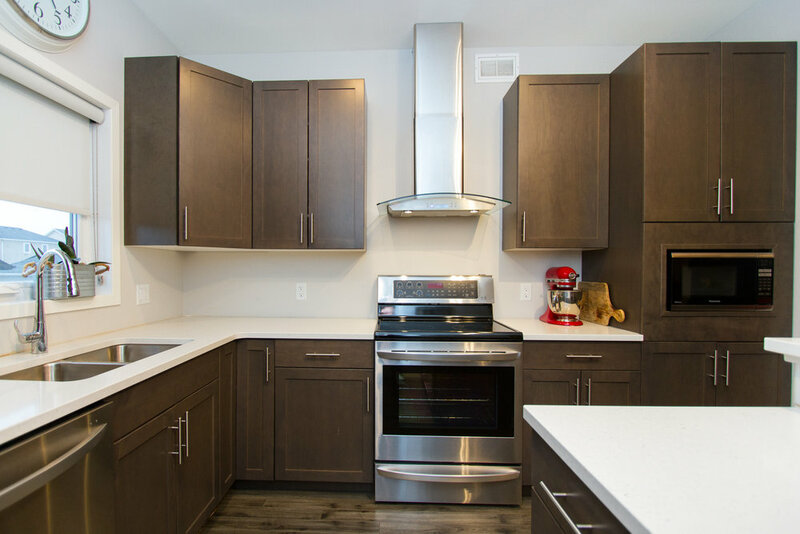 The kitchen is out-of-a-magazine nice and features oversized slate-stained maple cabinetry with white quartz counter tops, complemented with a 5 foot island with built-in wine bar, and LG stainless steel kitchen appliance package. Layout is important, and the flow from kitchen to dining room outside to the 2-tier composite timber deck works perfectly. The 16x12 great room is large enough for entertaining but also cozy enough for relaxing nights in front of the upgraded fireplace and entertainment unit. The wide plank flooring, upgraded baseboard package, upscale blinds, and décor paint sets the tone for this above average home. Upstairs, the master has the feel of an upscale hotel suite and offers a large walk-in closet and en-suite with dual raised vanity sinks and large jetted tub. The other two bedrooms are roomy and share a nicely upgraded bathroom. The front and back landscaping was designed to impress, and lined up just right for the afternoon sun, the backyard will be your oasis! Plus, the large double garage and tool shed are the icing on the cake. Just move in & enjoy!